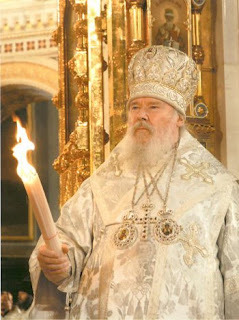 We have heard with real personal sadness of the death of Patriarch Aleksii II of Moscow. He was a leader of stature, with abundant experience, determination and courage, who guided his Church with a steady hand through a profoundly challenging period of change in Russia's history. He will be remembered also as a friend to many outside his own Church, not least to myself and others in the Church of England, and he and the whole Russian Orthodox Church will be in our prayers at this time. Rowan and Alexy could both boast impressive beards. Other than that they had (I hope) relatively little in common. If the Church of England is church first and England second, the Russian Orthodox Church has always stressed its Russianness, even - perhaps especially - at the expense of its Christianity. In that, Alexy was the perfect embodiment of his ecclesiastical tradition. Like the proverbial vicar of Bray, Alexy has been adept at getting on with whoever happened to be in power, whether that meant denouncing dissident priests to the KGB or cheering on Putin's expansionist tendencies; and the rewards have been in this world rather than the next. Alexy II's support for the policies of Vladimir Putin isn't particularly surprising, seeing that they shared a common background in (and, one suspects, nostalgia for) the KGB. Putin owed his rise to his service in the Soviet Union's security apparatus. So did Alexy, who was recruited as an agent in 1958. In those days, the Russian Orthodox Church survived purely by the sufferance of the officially atheist state. Priests who voiced doubts about the system were liable to be denounced to the authorities by colleagues for whom keeping in the government's good books trumped any martyrly feeling or even Christian conviction. 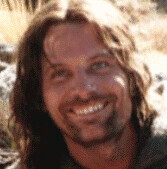 Alexy, for his part, was among the most enthusiastic denouncers. Under the codename Drozdov (which means "thrush", presumably because he sang like one) His soon-to-be Unholiness delivered up the names of numerous clerical dissidents, many of whom were hauled off to the gulag. During secret rendezvous he was punctilious, energetic and convivial. has a willing attitude to the fulfillment of our tasks and has already provided materials deserving attention which are forming the basis for documentation of the criminal activity of a member of the leadership of the Johvi Orthodox church . . . In addition, 'Drozdov' also provided valuable material for the case under way against the priest Povedsky. At present he is working on improving his knowledge of German. After consolidating the agent's experience in practical work with the organs of state security in the cultivation of agents, we intend also to use him in our interests by sending him to capitalist states as a member of church delegations. With his KGB handlers looking on, Alexy rose with almost medieval precocity to be a bishop at 32 and a metropolitan (which is a superior sort of archbishop) just five years later. As he continued his inexorable progress through the hierarchy, so the trust placed in him by the apparatchiks of the failing Communist state grew. KGB archives reveal that in 1969 he was sent to England, ostensibly as part of an ecumenical delegation, in reality as a spy. Later, as a leading member of the World Council of Churches he had many opportunities to travel. "After each trip abroad" reports The Independent, "he reported back fully to the KGB and the CRA, giving them information on events and individuals. In 1974, in a secret assessment, the deputy chairman of the CRA put him in the category of bishops most loyal to the Soviet state." His reward came in 1988, when he received a certificate of commendation from the boss of the KGB. Even in its dying agonies, the Soviet regime knew how to recognise its own. Throughout history the Orthodox Church in Russia - like its predecessor in the Byzantine Empire - has seen its role as being the ecclesiastical arm of the state. Under the Tsars this was easy. Under a Communist regime that, at its height, bulldozed churches or turned them into Museums of Atheist Thought, the trick proved more difficult, even paradoxical, but pragmatists on both sides found a modus vivendi. Basically, the church would be permitted to exist so long as its priests refrained from politics and told their parishioners to be good little Soviets; many with a greater or lesser degree of reluctance toed the line. A former dissident priest, Gleb Yakunin - who spent five years in a detention camp and was later elected to Parliament - was shocked by the extent of church-state collaboration when he gained access to the archives. The church was "practically a subsidiary of the KGB", he concluded. Even by the generally low standards of Soviet-era clergy, however, Alexy stood out as a particularly shady character. But it was after the collapse of the Soviet Union, which came shortly after his election as Patriarch in 1990, that Alexy really came into his own. Most of the obituarists credit Alexy as having presided over a renaissance in the Church during the past two decades. There has certainly been a renaissance in its wealth and influence in the state, although only 1% of the Russian Orthodox Church's 140 million members attend services regularly. And tellingly, while two thirds of Russians identify themselves as Orthodox, only 4% point to the church as a source of moral guidance. Lacking funds from traditional sources, Alexy's church has instead negotiated tax concessions and other money-raising deals. In 1994, then president Boris Yeltsin allowed the Church to import 10,000 tons of cigarettes duty-free as "humanitarian aid." The Church's imports, worth an estimated $75 million on the market, accounted for about 10% of Russian tobacco imports by volume over the next two years. When the news leaked out there was a scandal. Alexy claimed to know nothing and the promptly turned the operation over to the Russian mafia, which continued to pay the ecclesiastics a handsome commission. Alexy was also given a 40% slice in International Economic Cooperation, an oil trading company that was given access to government pipelines as part of the carve-up of Russian business that led to the emergence of the "oligarchs" and the impoverishment of almost everyone else. Another of his money-raising scams involved selling bottled water which he had "personally blessed". I gather he turned up at the depot occasionally and waved his crosier in the general direction of the stock. Uri Geller used to do the same thing with crystals. And what did he do with all this money? His most spectacular achievement was the rebuilding of Moscow's Cathedral of Christ the Saviour, a soulless monument to 19th century wedding-cake kitsch that had been blown up by Stalin in one of his rare moments of good taste. During the Nineties, while most of Russia's people struggled to eat, millions were poured into the parodic concrete reconstruction of this monstrosity. Ordinary parishes, meanwhile, have been neglected, and parish clergy who stepped out of line have found themselves unceremoniously defrocked. Alexy has also devoted his energies to rolling back the freedom of religion that had been established in 1990. In 1997 his wish was granted, and Orthodoxy was declared the only valid form of Christianity in Russia; other Christians faced discrimination, bans on evangelism and even outright bans. In recent months, Orthodox priests have sprinkled holy water on a new Russian surface-to-air-missile system called Triumph and blessed a Dec. 2 parliamentary election condemned by European observers as neither free nor fair. When the Kremlin last week unveiled its plan to effectively keep Mr. Putin in charge after his time as president ends, the head of the church, Patriarch of Moscow and All Russia Alexy II, went on TV to laud the scheme as a "great blessing for Russia." Damian Thompson thinks that to describe Alexy as a "creature of the Kremlin" would be unfair - to the Kremlin. When it came to hard-line nationalism, even Putin was capable of being embarrassed by Alexy's bigoted stridency, which combined xenophobia with an anti-Catholicism that would make Ian Paisley blush. 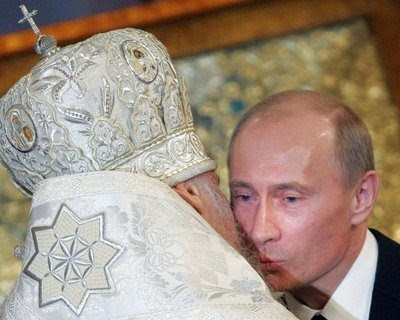 On one occasion Putin took it upon himself to invite Pope John Paul II to visit Moscow. Big mistake. As Alexy lost no time in pointing out, over his dead body would any heretical Roman pontiff sully the ground of Holy Russia. The invitation was swiftly withdrawn. Another of Alexy's favourite hobbies was feuding with his theoretical superior, the Ecumenical Patriarch of Constantinople. The EP - currently Bartholomew - is traditionally "first among equals" in the Orthodox hierarchy. For many centuries, however, the primacy of the EP has been largely theoretical and the churches have gone their own way. Indeed, the Orthodox church has rent itself assunder on numerous occasions, though the rows have invariably been about money, power and deference rather than about any serious questions such as those that have split the Anglican communion. These days, in such matters as negotiations with Rome, there have been moves towards establishing common Orthodox positions - which has meant the previously sidelined EP attempting to play a role somewhat akin to that of the Archbishop of Canterbury as a figurehead of worldwide Orthodoxy - and the Patriarch of Moscow trying to stop him. Bartholomew has also taken advantage of the collapse of the Soviet Union, offering himself as a figurehead for non-Russian Orthodox of the old Eastern Bloc trying to establish their independence. Matters recently came to a head over the Estonian Orthodox Church, which declared itself autonomous (or "autocephalous" as the jargon has it) when Estonia became an independent state. At a conference last year in Rome, which was supposed to lay the groundwork for a closer relationship between Catholic and Orthodox churchs, the EP insisted that the Estonians be allowed to take part. At which point the Russian delegation walked out. There have been equally unChristian incidents in the Ukraine, where he spent many years trying to destroy the long-established Ukrainean Catholic Church, often by sending his clergy to squat in their churches. Alexy's views on morality were, it need hardly be said, reactionary in the extreme. He led opposition to a Gay Pride march in Moscow, and last October described homosexuality as an illness and a distortion of the human personality akin to kleptomania. "Homosexual desires, just as other passions torturing fallen man, are healed by the Sacraments, prayer, fasting, repentance, reading of Holy Scriptures and patristic writings, as well as Christian fellowship with believers who are ready to give spiritual support," he declared. "The Church denounces any propaganda of homosexuality". His support for marriage, meanwhile, was unaffected by his own unhappy experience: he divorced his wife Vera after only a few months. And the future? The name of Alexy's successor isn't yet known, but most of the leading contenders seem to be old KGB hands, and those in the know point out that by Russian Orthodox standards Alexy was a moderate. No doubt Mr Putin will find another churchman after his own heart to continue the holy work of blessing his battle plans. Oh well, I hope he enjoys the company wherever he has gone. I think think your last paragraph gets to the heart of the matter - he probably was a moderate by orthodox standards. How different from the spiritual lives of our own dear moderators and archbishops! Had Metropolitan Anthony's name not been vetoed twice at the council which elected Alexey, how different the Russian Church might have looked ... Mr Putin might even have banned it by now. Thank you, thank you, for addressing how the Orthodox Church didn't merely survive under Soviet rule, but actively helped the Soviets stay in power. And I don't think it took too much to convince the clerics to teach parishioners to be good little Soviets. That's what a lot of religions teach their followers, anyway. Religious power and state power feed off each other. That's why it's no mistake that the American Republicans are in bed with the religious extremists: they have the same goals. Money and power concentrated in the hands of a few rich and powerful creates desperation in the masses, which packs churches that tell the masses to be content with their place, which means they don't challenge the rich and powerful, which means the rich and powerful keep all their goodies and more, which means desperation never ceases, and so-forth.